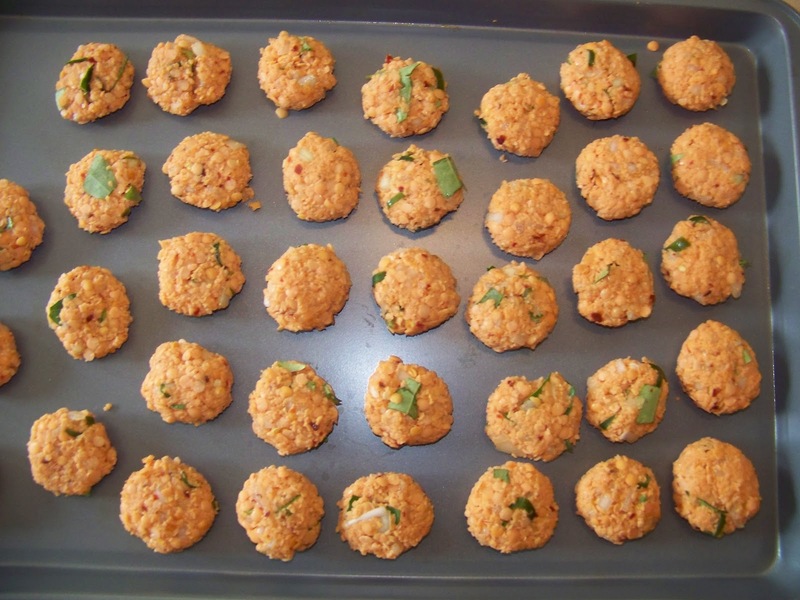 Last week my mother came over and we made three different vadai (Lentil Fritter) recipes. This vadai is made with masoor dhal/lentil. 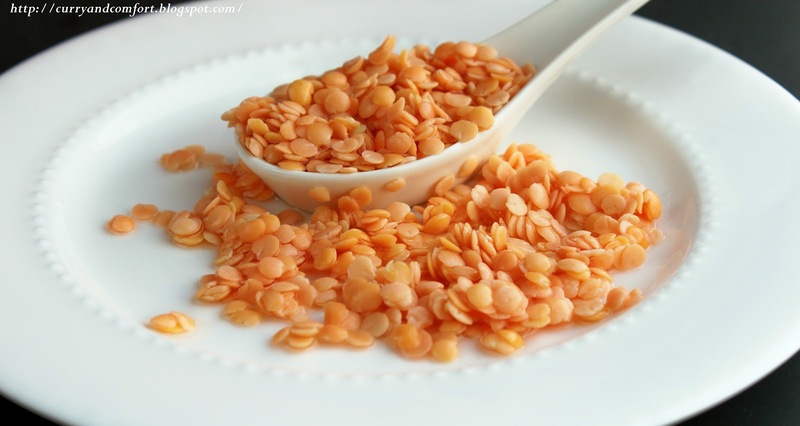 Masoor dhal is a small orange lentil that cooks easily. 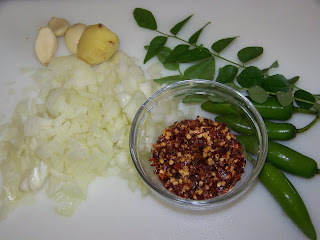 Since they cook so easily it is the kind of lentil that I cook with at home regularly. It's also my children's favorite variety of lentil. I am a pretty big vadai fanatic, but if I had to pick a favorite of all the varieties that we made that day, this is it. I think it's because masoor dhal is so tender. It doesn't hurt that we made these extra spicy too. Masala vadai needs to have a good "kick" in my opinion. Of course you can use as much spice as you like and make these wonderful fritters to your taste. 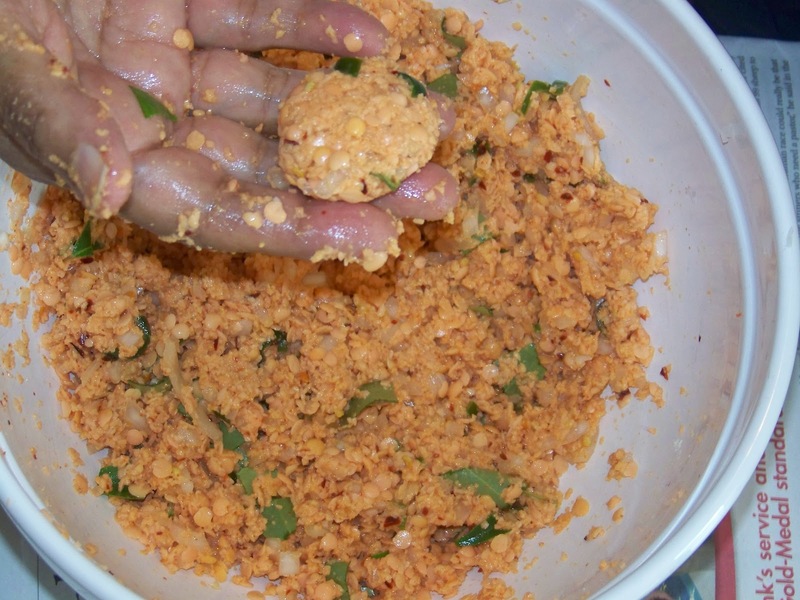 1-2 Tbs of chickpea flour (besan) to help form the vadai. The first step to making your Masala Vadai is to soak your lentils. You will want to soak them for 3-4 hours. Then drain your Masoor Dhal well and put 2/3 of the dhal/lentils in a food processor and grind/pulse the lentils into a semi-course paste. You want some of it well pulverized yet some pieces still intact so you can see it's dahl. 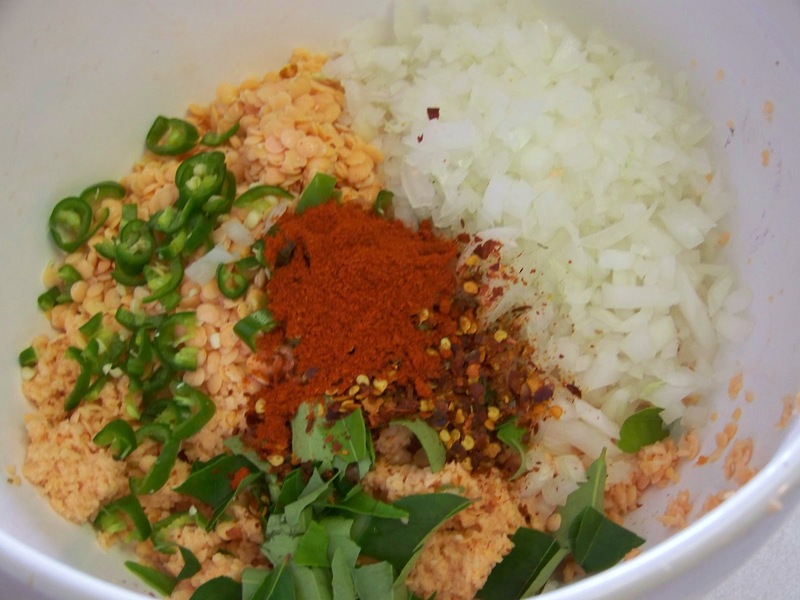 Mix the lentils with all the other ingredients, including the remaining 1/3 cup of whole masoor dhal. You want the mixture to hold together like a meatball so add chickpea flour a tablespoon at a time to get that texture. Taste for salt and seasoning. Now form the flat patty shapes. Form the Masala Vadai about the size of a large walnut or a little smaller than a golf ball size and shaped into a patty. I placed them on a microwave safe plate because the next step is to pre-cook them in the microwave. **I got this tip from another recipe and it works great. 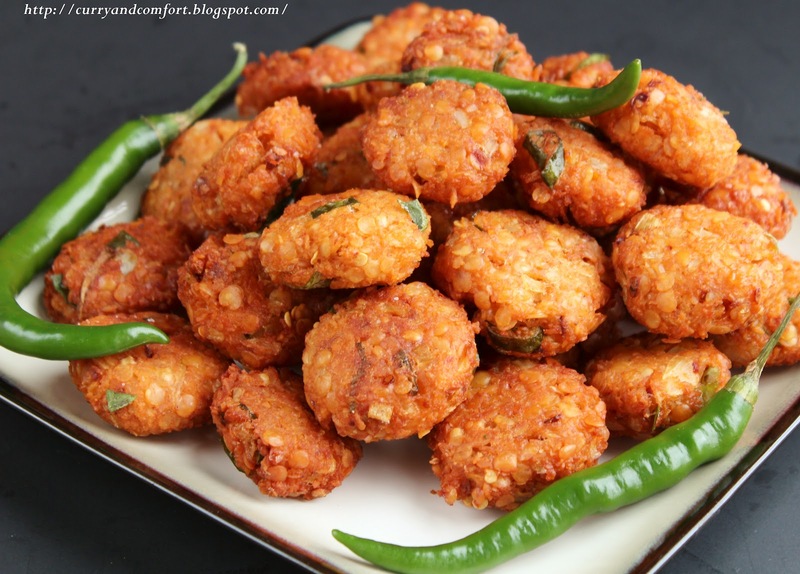 You will microwave about a dozen vadai for about 1-2 minutes (depending on your microwave). They will become firmer to the touch (but not hard). This also cuts down on the frying time. Heat canola oil on med-high heat and when hot start frying vadai a few at a time until fully cooked. I cooked them for about 2 minutes in the hot oil. You don't want your oil too hot so not to burn the vadai. 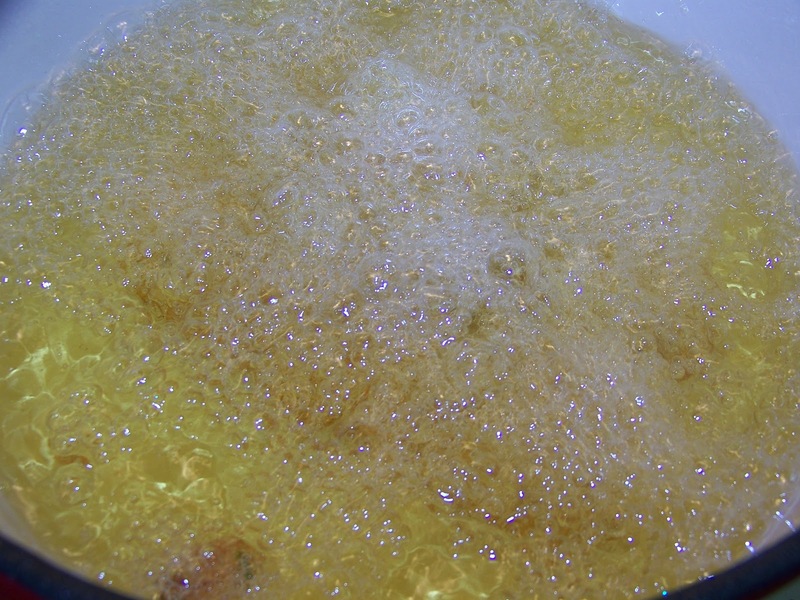 Test out the first batch and adjust the heat of the oil accordingly. Drain on a paper towel and continue frying. Eat hot or at room temperature. 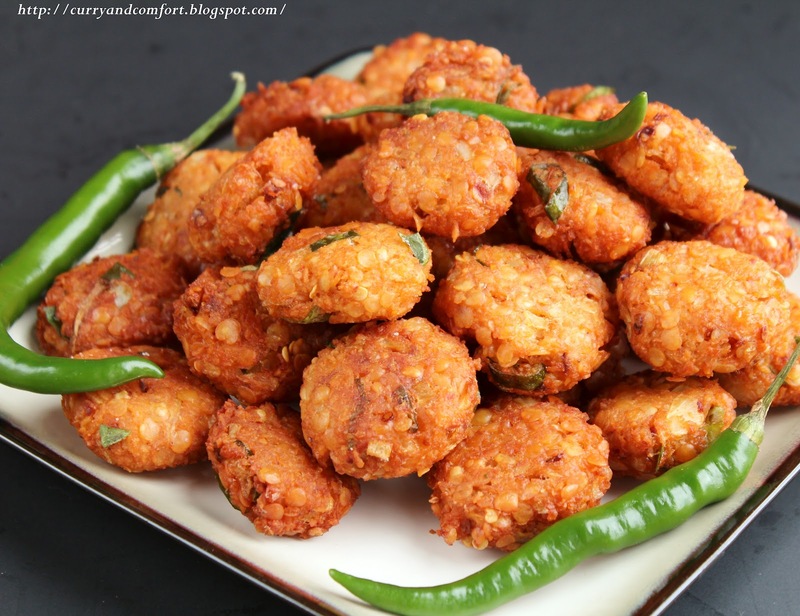 This recipe should make about 30-40 vadai. Enjoy. I love that you get so many cooking opportunities with your mom. How fun and special! They look great. 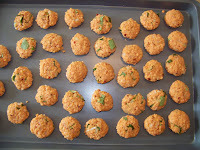 My mom LOVES Masoor Dhal Masala Vadai - these look fantastic!